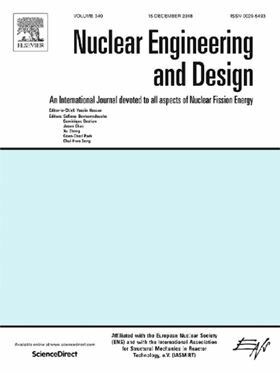 The research article 'Experimental study on transient performance in the coasting transition process of shutdown for reactor coolant pump' has been published in Elsevier journal Nuclear Engineering and Design (Volume 346, May 2019, Pages 192-199). The coasting characteristic of the reactor coolant pump is one of the important indicators for the safe operation of the nuclear power system. Coasting transition process of the reactor coolant pump under the working condition of power failure belongs to transient flow process. For most of the time of the coasting transition process, the parameters of flow rate, speed and head of reactor coolant pump are nonlinear. It is very difficult to study the changing law of coasting. This paper studies the energy conversion process in the coasting transition process of reactor coolant pump under accident conditions to build a comprehensive test bench for a hydraulic prototype and complete the external characteristic test and coasting transient process test of the reactor coolant pump. We find the results through coasting test: Diverting guide vane obviously improves the flow pattern (the various forms of fluid movement) larger flow conditions, reduces the flow loss, improves the energy utilization, improves the head and efficiency obviously, and prolongs the coasting time of the flow rate is reduced to the flow rate of the reactor coolant pump, makes the core of nuclear reactor obtain more sufficient coolant flow. Three different impellers with 5, 7 and 9 blades were tested numerically to determine the optimum number of blades at a rotational speed of 2800 rpm. Condition-based maintenance with accurately predicted remaining useful life has the potential to significantly reduce maintenance costs.